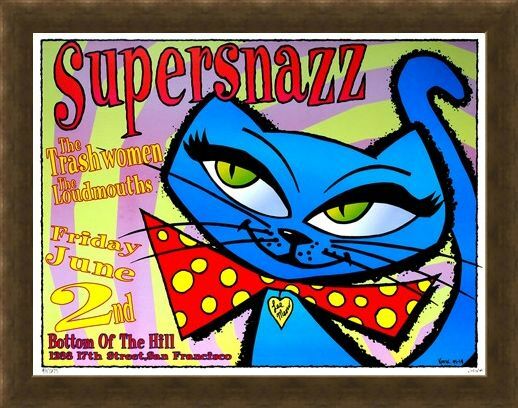 Limited Edition Art Print: Make some noise with this Supersnazz-y limited edition art print featuring the Japanese punk rock band Supersnazz! 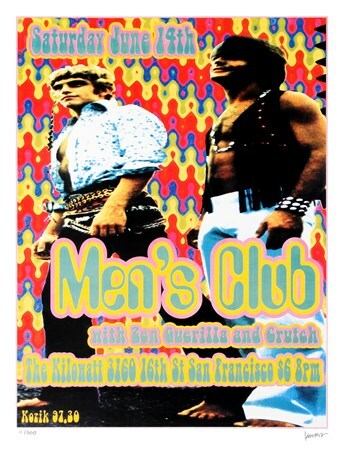 Created by American artist Frank Kozik, this print is an advert for their 1995 gig at Bottom of the Hill in San Francisco where they were supported by The Trashwomen and The Loudmouths. A classy kitty sits proud on the right hand side of the print whilst the left hand side covers all the details of the gig in bright colours and eye catching text. 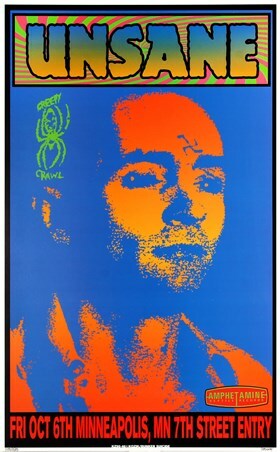 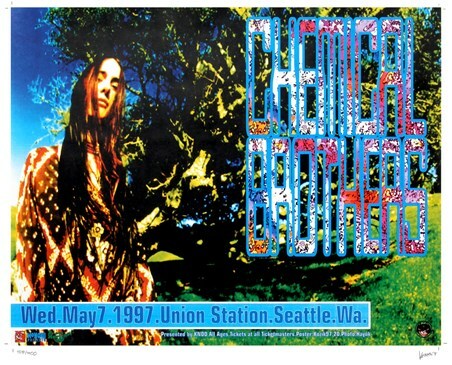 This must have print is a rare piece which has been hand signed and numbered by Frank Kozik himself and it will make a snazzy edition to your music collection. 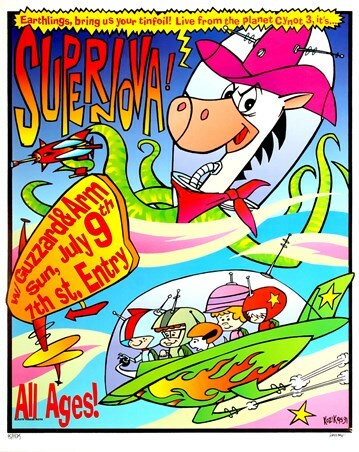 High quality, framed Supersnazz, Frank Kozik limited edition print with a bespoke frame by our custom framing service.